this do for the commemoration of me." At the Last Supper the greatest of the miracles of Jesus was performed. This miracle was the Institution of the Eucharist. Pope John Paul II gave us this event as the final Luminous Mystery to be added to the meditations on the Rosary. This most wonderful event in the life of Jesus has been reenacted in the Church throughout the centuries in the Holy Sacrifice of the Mass. This perfect sacrifice is commemorated as Jesus commanded on the altars of Catholic churches throughout the world everyday. And now it has been given a fitting place of honor in Mary's Rosary. Below you will find the Bible excerpts of this the Last Supper and the institution of the Eucharist. "And Judas Iscariot, one of the twelve, went to the chief priests, to betray him to them. Who hearing it were glad; and they promised him they would give him money. And he sought how he might conveniently betray him. "And the disciples did as Jesus appointed to them, and they prepared the pasch. But when it was evening, he sat down with his twelve disciples. And whilst they were eating, he said: Amen I say to you, that one of you is about to betray me. And they being very much troubled, began every one to say: Is it I, Lord? But he answering, said: He that dippeth his hand with me in the dish, he shall betray me. The Son of man indeed goeth, as it is written of him: but woe to that man by whom the Son of man shall be betrayed: it were better for him, if that man had not been born. And Judas that betrayed him, answering, said: Is it I, Rabbi? He saith to him: Thou hast said it. "And Jesus said to them: I am the bread of life. and he that believeth in me shall never thirst." Giving the gift of Himself in the Eucharist at The Last Supper was the last thing Jesus did before He began His sorrowful mission of redeeming mankind. When Jesus said the words: "This is My body," and "This is My blood,"; at the last supper, the entire substance of the bread was changed into His body and the entire substance of the wine was changed into His blood. The Last Supper was the first Mass. Jesus made the apostles priests and gave them the power to turn bread and wine into His body and blood. When you receive Jesus in the Holy Eucharist a special union between you and He is created. This union makes the Holy Eucharist the greatest help to obtaining a peace filled and tranquil life. The fruit of The Last Supper mystery is adoration. Adoration is when profound reverence is shown to the Eucharist. The Eucharist is also known as the Blessed Sacrament. You can show this reverence in many ways. You show it by your attentiveness during Mass, when you genuflect to the Tabernacle, and by kneeling when the Blessed Sacrament is exposed. You can even show your reverence by making the sign of the cross when you drive or walk by a Catholic church. The most venerable way of showing reverence to the Blessed Sacrament is at Eucharistic Adoration. The priest exposes the Blessed Sacrament and you can go in silence to adore Jesus. You can pray, meditate, pray the Rosary, make the Stations of the Cross or just quietly sit in the Presence of Jesus and recall the scene at the last supper. An hour each week dedicated to visiting Jesus in the Blessed Sacrament is the best investment of your time. You will not believe the immense peace you will get from this simple practice. Make it part of your routine. You will not be disappointed. You will look forward to these peaceful hours you get to spend with Jesus. Make sure you get some good prayer books to aid in your meditations during your hour. 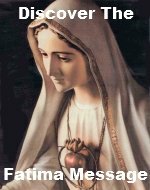 I would strongly recommend My Prayer Book by Fr. Lasance. 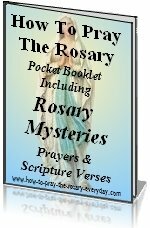 In it you will find many prayers and devotions as well as reflections and ways to improve your life. If you are looking for a more modern language version of this mystery, our recommendation would be the St. Ignatius Press Bible.